Khloé Kardashian & Tristan Thompson Had ‘Very Little Interaction’ At True’s 1st Birthday! 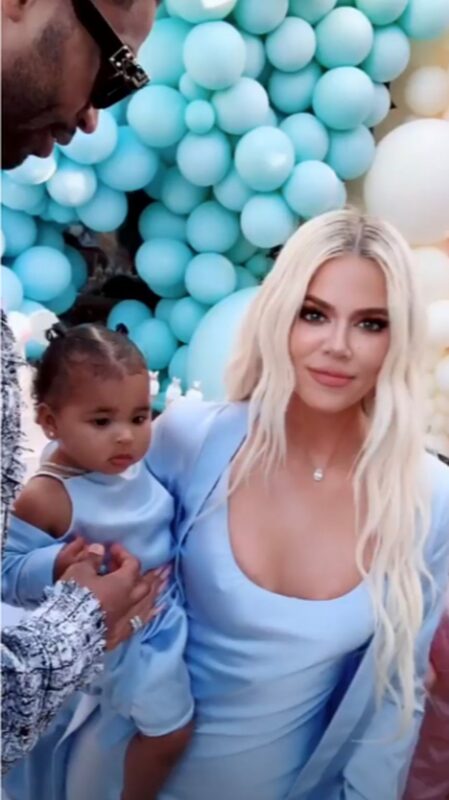 Home › Khloe Kardashian › Khloé Kardashian & Tristan Thompson Had ‘Very Little Interaction’ At True’s 1st Birthday! Khloé Kardashian and Tristan Thompson kept their distance. 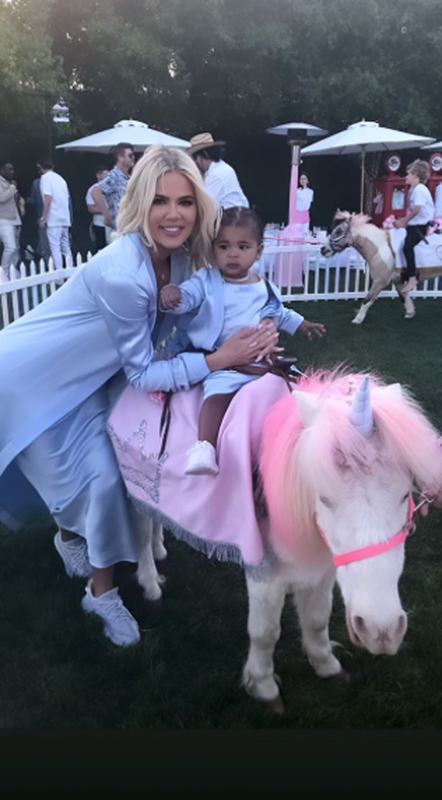 As we reported, over the weekend, the Kardashian-Jenner family celebrated True Thompson‘s first birthday with a lavish outdoor party — complete with butterfly decorations, cotton-candy vendors, a dessert table, “unicorns” with colorful horns, and pink manes that kids could ride around. Related: The KarJenners Make HOW MUCH Per Sponsored Post?? Despite allegedly cheating on the Revenge Body host, the basketball player attended, and was seen on social media holding his daughter as guests sang her happy birthday. According to a People source on Monday, KoKo was adamant that her ex was invited, despite their apparent bad blood. In fact, Khloé wants Tristan in True’s life as much as possible. Although the two appeared to be amicable, Khloé and Tristan had limited contact throughout the event. As we reported, Khloé reportedly broke up with Tristan for good after he allegedly had an affair with Jordyn Woods. In an interview with Red Table Talk‘s Jada Pinkett Smith, Jordyn denied hooking up with Thompson, except for a goodbye kiss that he allegedly initiated.